How Will Filing Chapter 7 Bankruptcy Affect Filing Your Taxes This Year? One of the fastest ways to shed unaffordable debt is to file Chapter 7 bankruptcy. This can be life-changing for North Carolina consumers who are drowning in bills they can’t afford and unsure what to do next. But with the tax filing deadline coming up in a few weeks, will filing Chapter 7 impact your taxes? Maybe. Here’s what you must know. What Is a Liquidation Bankruptcy? Chapter 7 is known as a liquidation bankruptcy because the trustee assigned to your case has the power to liquidate (i.e. sell off) any assets not shielded by North Carolina bankruptcy exemptions. Any money gained goes towards your debt. That’s why Chapter 7 bankruptcy is a better fit for those with few assets or assets with little equity. For instance, an individual filing Chapter 7 can shield $35k in equity in a home, and a couple filing together can protect $70k in their home. A reasonable amount of equity in an auto can also be exempted. Standard stuff like furniture, clothing, personal computers, and the like can also be kept out of the hands of the bankruptcy trustee. But What About Your Taxes? If you’re owed a significant tax refund, it might play into your Chapter 7 case. Whether you already filed your taxes or already received your refund doesn’t matter once you’re in the bankruptcy process. Also, don’t think about trying to delay filing your taxes to try and hide your refund. That’s cheating, and it won’t work. You should file your taxes as normal and alert your bankruptcy attorney that you’re expecting a tax refund and the amount of the refund. Depending on your assets and exemptions, there’s a good chance it can be protected. Be aware that filing your income tax returns is a requirement in bankruptcy. You must show copies of your tax returns to the trustee. Don’t sweat your refund. The debt relief you’ll get will more than offset the loss of a refund but, in most cases, you’ll be able to keep it. There are many tax benefits with bankruptcy. First, if a creditor writes off a debt you owe, you’ll be issued a 1099-C and that debt becomes income which can cost you more income tax. But in bankruptcy, the debt is discharged and there’s no 1099-C report. Second, if you owe back taxes that have been outstanding for more than a couple of years, as long as you filed the income tax returns on time, these tax debts may be eligible for discharge in your Chapter 7 bankruptcy. This can be a big benefit to North Carolina consumers. Third, with less debt you may be able to contribute more to your 401(k), which lowers taxable income and taxes paid. There are other options as long as you have not filed bankruptcy yet. First, you can file your taxes, get your refund, and then file for bankruptcy a few months later. Second, you can file your taxes, get your refund, and then use that money to cover the costs and attorney fees associated with filing your Chapter 7 case. Check back with us tomorrow to learn about Chapter 13 bankruptcy and your tax refund. 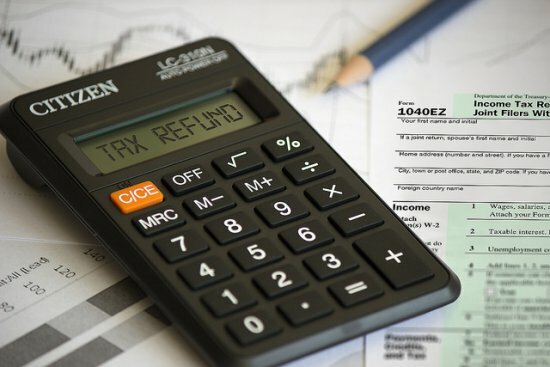 The two bankruptcy chapters handle tax refunds quite differently, so you should be aware of your options if you’re uncertain which bankruptcy chapter you’ll file. The bottom line is to always be completely honest with your attorney so you’ll get the best advice. To find out more about the benefits of North Carolina bankruptcy, contact the Law Offices of John T. Orcutt. Call 1-888-234-4181 now for a free bankruptcy consultation at one of our locations in Raleigh, Durham, Fayetteville, Wilson, Greensboro, Garner or Wilmington.